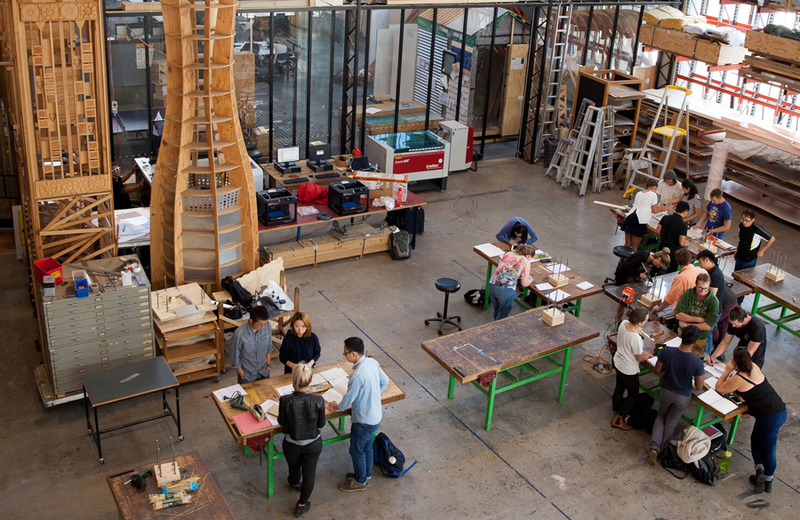 Study the Master of Architecture at the University of Tasmania and join an elite group of graduates making their mark in architecture and design. The Master of Architecture at the University of Tasmania places a strong emphasis on architectural design and the development of personal design approaches that respond to contemporary ecological challenges and social responsibilities. It is a professional qualification aimed specifically at equipping students with the knowledge, professional skills, and applied understanding necessary to become a registered architect and practise internationally. learning by making that explores relationships between design and making, between material and structural performance, and between scales and modes of production. The course will introduce you to different modes and methods of design. In your final year you will collaborate with academic staff to develop your own design research project in diverse areas such as digital fabrication, heritage and conservation, learning by making, regional urbanism, and health and place. Upon graduation, your design portfolio should include the evidence you need to get the job you are after. In addition to design proposals it may include built works, peer-reviewed conference papers and journal articles, and curated exhibitions, depending on where your studies take you. The Master of Architecture is recognised and accredited by the Board of Architects of Tasmania, and the Architects Accreditation Council of Australia. This course is designed to prepare you for your career as a registered architect with the skills to practise internationally. Throughout your studies you will participate in real ‘live’ design projects for community clients and will engage with professionals in the industry. Our staff are practicing architects and designers engaged in cutting-edge practice and diverse areas of research. In addition, we employ registered architects with professional expertise as tutors to share their practical experience with you in hands-on work integrated learning experiences that are supported by our state-of-the art computer labs and workshops that include a Kuka 6-axis industrial robotic arm, Computer Numerically Controlled router technology, laser cutters and 3D printers. Learning-by-Making is integral to everything we do in the School and we have earned an international reputation for producing outstanding designers who have an openness to alternative solutions encouraged through making and breaking. Community projects give our students authentic experiences working in multidisciplinary teams and collaborating with clients, consultants, and local authorities in the design and fabrication of small public buildings and structures. Recent projects include the Hothouse, a temporary bamboo pavilion designed and constructed for Dark Mofo events, and the Castle series of micro-dwellings. For these and more, visit our school website. The curriculum is supplemented by an embedded work-experience and industry-placement program that is offered in partnership with the Tasmanian Chapter of the Australian Institute of Architects and Master Builders’ Association. Our Inveresk Design Forum is a public lecture program that brings our students into contact with a broad range of architects and designers working across scales, from the urban to the object. Invited guests share their insights into past, present and future projects. In addition to complementing the core curriculum, these sessions provide an opportunity for our students to build networks between peers, practice and the community. Rachel Englund – Master of Architecture graduate. Abby Hibberd - Master of Architecture student. Careers in architectural services are a leading driver of new employment and our graduates’ skills in design thinking equip them to become future business leaders. Ben Duckworth, University of Tasmania alumnus, now HASSELL Head of Design in Melbourne, having previously worked for Herzog & de Meuron in Switzerland managing diverse international projects such as the extension and expansion of the Tate Modern and a master plan for Lords Cricket Ground in the UK, as well as Kolkata Museum of Modern Art (KMOMA) in India, among many others. Gabrielle Phillips, University of Tasmania alumnus, now in a global office with Grimshaw Architects in London, having previously worked with Circa Morris-Nunn in Hobart on projects including the award-winning Brooke Street Pier, Mountain Retreat Medical Centre, and the MACq01 Hotel. Todd Henderson, University of Tasmania alumnus, now principal of Launceston-based Cumulus Studio that recently won an international Architizier A+ Award for their commercial mixed-use design at Devil’s Corner Cellar Door. The MArch is recognised by the Australian Institute of Architects (AIA) as fulfilling the academic requirements for corporate membership. Graduates are also expected to be eligible for registration by Australian Boards of Architects following an approved practical experience program and a pass in the Architectural Practice examination. Recognition by the AIA offers opportunities for international recognition of the professional qualification. To be eligible for the Master of Architecture you require a Bachelor of Architecture and Built Environments (previously called the Bachelor of Environmental Design) with a major in Architecture, or an equivalent three-year undergraduate degree in Architecture. Eligibility is subject to achieving a minimum credit average (60%) across all core subjects in the final year of the undergraduate degree. Students may also be asked to attend an interview and/or submit a portfolio of their work from their previous studies. International applicants who are nationals of and currently residing in a country where English is NOT the official language, will also need to provide evidence of an IELTS or TOEFL test. The Master of Architecture requires an IELTS (Academic) of 6.0 with no individual band less than 6.0. For more information, visit the International future students’ website. To enter the Master of Architecture applicants will have a Bachelor of Environmental Design with an Architecture major (see K3M or 73E) or an equivalent three-year undergraduate degree (see D3A). Applicants' first degree program will have been in environmental design, architectural studies, or an equivalent recognised and accredited degree, and the main emphasis or major will have been in architecture. Students may also be asked to attend an interview and submit a portfolio of work containing items both from their previous studies and other relevant activities. Candidates should note that, because there are limited places available, the minimum requirements for admission will not automatically guarantee entry to the course. 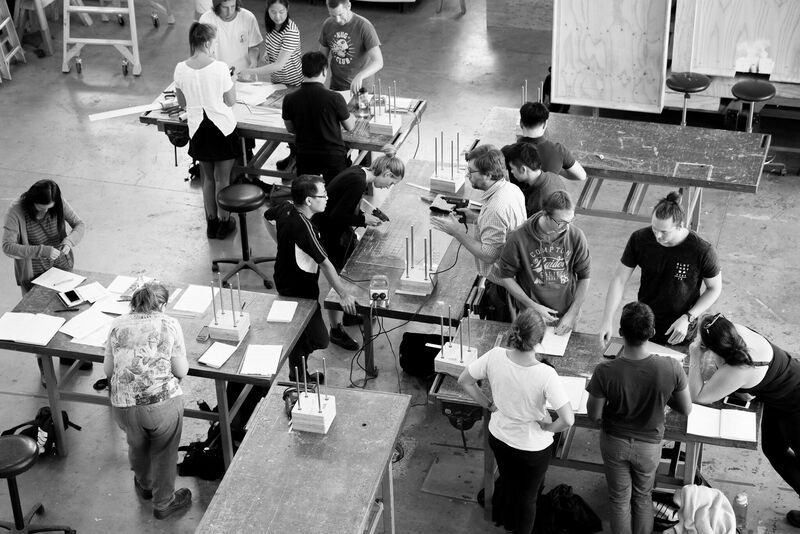 Students completing the Bachelor of Architecture and Built Environments (previously called the Bachelor of Environmental Design) with a major in Architecture and a minimum credit average (60%) across all core subjects in the final year are eligible for entry into the Master of Architecture. Students completing the Master of Architecture are eligible to apply for entry into a higher degree research program. 2019 Total Course Fee (international students): $62,983 AUD*. Course cost based on a rate of $30,950 AUD per standard, full-time year of study (100 credit points).